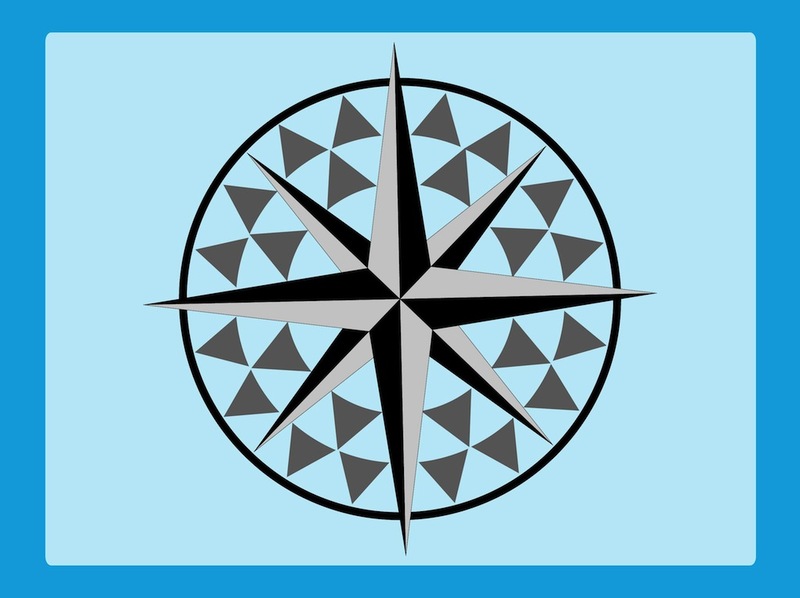 Classic travel vector footage of a compass rose. Wind rose with geometric arrows for the world directions. Triangular decorations on the round shape. Free vector orientation device graphics for discovery, travel, sailing, adventures, world directions and sea designs. Wind rose for stickers, logos and icons. Tags: Compass, Directions, Journey, Magnetic, Orientation, Travel, Trip.